Highsmith, Carol. "Glacier National Park, Montana." 2005 September 25. Carol M. Highsmith's America, Library of Congress Prints and Photographs Division. 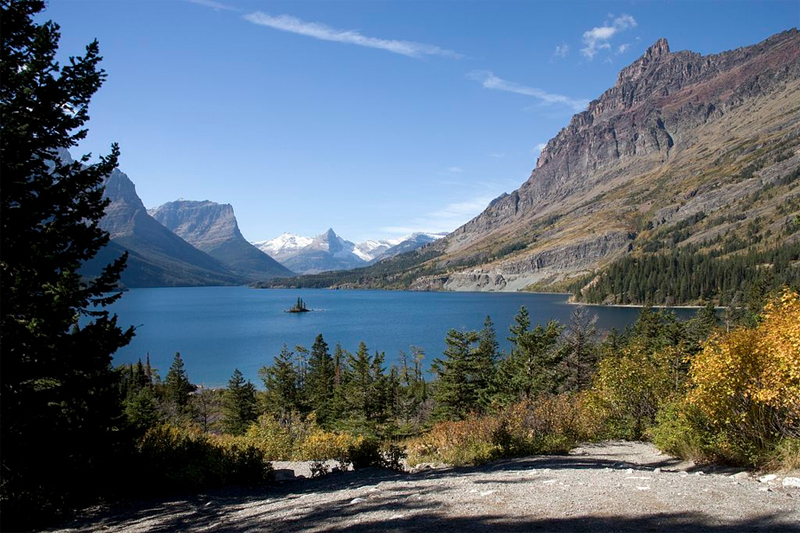 Notes: Glacier National Park contains two mountain ranges, sometimes referred to as the southern extension of the Canadian Rockies mountain ranges, with over 130 named lakes, more than 1,100 different species of vascular plants and hundreds of species of animals.